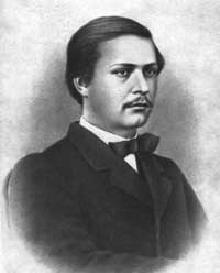 Mykola Lysenko (1842-1912). Often heralded as the “father of Ukrainian classical music”, Mykola Lysenko, composer, pianist, ethnomusicologist and pedagogue, was driven by the conviction that his own art ought to serve the interests of the Ukrainian nation. Drawing his creative impetus from the songs of his native land, Lysenko’s works are generally inspired by, if not literally based on these songs. Educated at the Leipzig Conservatory (1867-69) in the classes of Moscheles, Reinecke, Wenzel and Richter, Lysenko was an accomplished pianist who concertized frequently. He refined his conducting and orchestration skills at the St. Petersburg Conservatory Conservatory (1874-76) studying with Rimsky-Korsakoff. Always deeply concerned with raising the level of music education in his native Ukraine, Lysenko founded the Ukrainian National School of Music, and remained a leading pedagogue and champion of musical culture until his death in 1912.